At least 20 people were killed Saturday after a limousine, reportedly carrying a wedding party, and another vehicle crashed at an intersection in upstate New York, police said on Sunday, Fox News reported. New York state police did not release the names of the people killed. Local reports indicated the limousine was carrying a wedding party, but police would not confirm further details until the news conference scheduled for 3 p.m. Sunday. 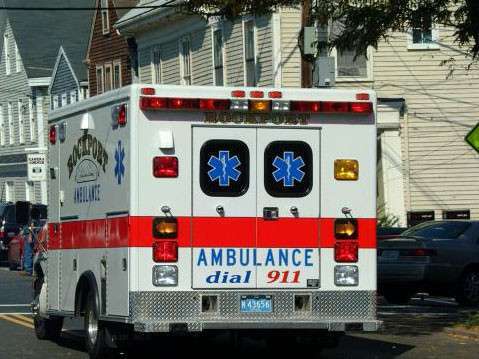 Police received 911 calls of a two-vehicle collision just before 2 p.m. Saturday at the intersection of State Route 30 and 30A in Schoharie, a town about 43 miles west of Albany, police said. The National Transportation Safety Board — who said on Sunday it was sending a “go-team” to the crash site — confirmed one of the vehicles was a limousine. “What we can tell you at this point is that it is a 2 vehicle, multi fatalities as a result of this crash. The investigation is very preliminary it’s in its infancy stages,” New York State Police Capt. Richard O’Brien said in a Saturday night news conference. The crash occurred near Apple Barrel, a store and café that’s popular with tourists during fall. Bridey Finnagen, who lived near the crash site, told WTEN she heard a loud bang followed by screaming. Emergency crews from the Schoharie County Sheriff’s Office, New York state police and the Red Cross arrived at the scene. “The first responders broke some windows to try to get people out. I believe the jaws of life were here on the side of one of the fire trucks,” Finnagen recalled. Apple Barrel released a statement Saturday on its Facebook page thanking first responders. The store said it will be open on Sunday. “As you may be aware, there was a horrific accident in front of our business today. First, we want to thank all of the emergency services that responded. We are so thankful for all of you,” the store said, adding that their “hearts and prayers go out to everyone” involved in the fatal crash.